Today, 4 October 2018, at this week’s Plenary Session in Strasbourg, Members of the European Parliament adopted an urgency resolution regarding the existence of internment camps and the arbitrary detentions of ethnic Uyghurs and Kazakhs in the Xinjiang Autonomous Region (XUAR). This comes as the boldest stance that the European Union has adopted since the opening of such camps in autumn 2017. The human rights situation has been deteriorating since then. The Uyghur and Kazakh peoples have faced gross violations of their inalienable human rights at the hands of the Chinese Communist Party. During the Plenary Session, various Members of European Parliament called for all EU member states to bring up the subject of arbitrary arrests and mass detentions in multilateral dialogues on any and all subjects with China. In their words, “the EU cannot continue with the business as usual approach with China” (MEP Fabio Castaldo) and “[the EU’s] economic interests cannot be an obstacle to honest dialogue and the demand for legitimate human rights” (MEP László Tőkés). In addition, others stressed the importance of honouring a non-refoulement policy, such as the moratoriums Germany and Sweden have adopted, for the requested deportations of certain Uyghurs and Kazakhs by the Chinese government. Furthermore, on more than one occasion during this plenary session, Members of Parliament mentioned the danger of the Chinese government’s use of technology as a means to surveil and collect data on the Uyghur and Kazakh communities. 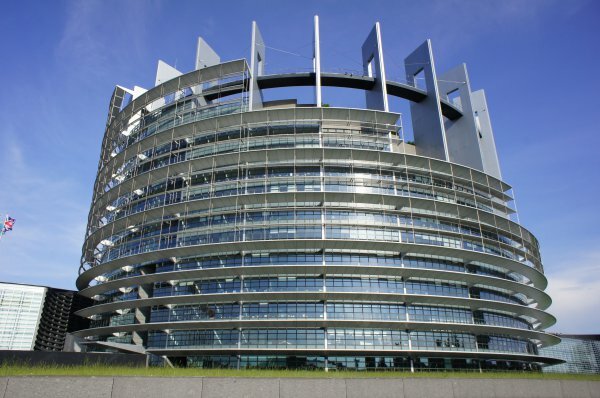 Other MEPs went as far as to suggest that the EU consider sanctioning China and to identify the culturally repressive acts against the two minority communities as "ethnic cleansing" (MEP Wajid Khan) and "cultural genocide" (MEP Krzysztof Hetman). Although adoption this urgency resolution is a step in the right direction, UNPO hopes to see further action from the EU upon this resolution in order to safeguard the lives and dignity of Uyghurs and Kazakhs in China and beyond. UNPO would like to kindly thank all Members of the European Parliament who introduced and supported this urgency resolution for taking such a stance on the injustices being committed against the Uyghur and Kazakh communities in Xinjiang. The work of the European Parliament's Uyghur Friendship Group, in particular, has been admirable in this regard. UNPO and Its partners view this adoption as an important step in addressing the deterioration of the human rights situation in China as a whole. The joint motion for a resolution from the European Parliament is available here. Should you be interested in watching the streaming of today’s plenary session in Strasbourg, kindly follow this link.